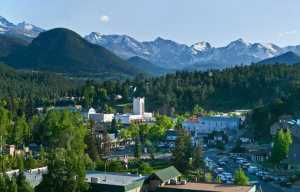 The climbing history in Estes Park dates back to early guiding services in the 1860s and has continued to draw recreational to professional climbers ever since. The Estes Park Museum honors the gravity-defying climbing history of the area in the special exhibit, Climb On! Featuring early climbing equipment, chronicles of the accessibility of climbing in the area, profiles and stories from famous local climbers and segments from the Estes Valley Mountaineering Oral History Project. The exhibit continues through October 4, 2015. Having reached international status over the years, Chaos Canyon in Rocky Mountain National Park is home to massive granite boulders offering problems from V0 to V15 at 10,000 feet above sea level. Climbers can access both the lower and upper Chaos Canyon areas via a moderate 2.1 mile hike to Lake Haiyaha. 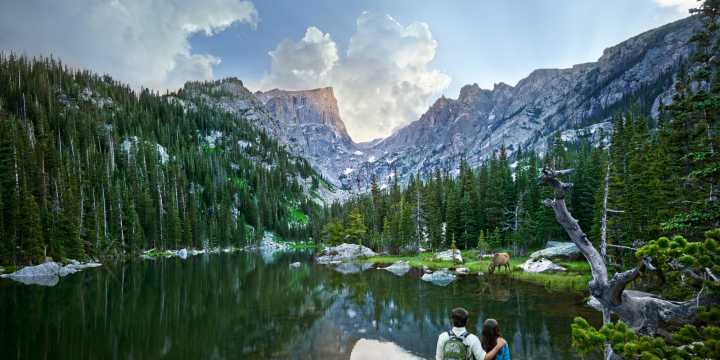 Remember to be kind to the national park! Be sure to pack in/pack out and tread lightly on trails and bouldering landings! Take your climbing to the next level with expert instruction from some of the best in the industry! Local guiding services will teach you all you need to know to improve your skills in a safe and professional setting. Whether you are looking for a women&apos;s only group, to a crack climbing clinic, lead trad or mulit-pitch instruction, there is a class to get you reaching new heights in no time! 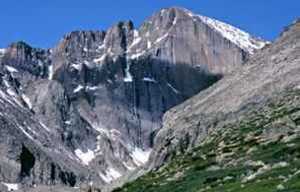 Developed by some of Estes Park&apos;s best local rock climbers, including professional climber Tommy Caldwell, the Monastery offers world-class sport climbing on a collection of massive granite spires right outside Estes Park. Do your research to pick a few of the over one hundred routes to try out each day ranging in difficulty from 5.6 to 5.14 on steep slabs with excellent friction. Pick up a guide book or consult directions with a local outfitter, as the area is easy to access off of the Big Thompson Canyon (Hwy 34) but requires a bit of detailed directions.